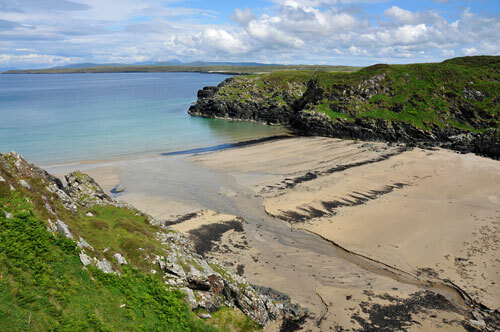 This is one of my favourite hidden beaches on Islay, Port Ghille Greamhair just north west of Sanaigmore. I don't think I've ever seen anyone on it, but then again it's slightly tricky to get to it as there is usually cattle in the field you have to avoid. As it's already Saturday evening I've already posted the larger version to the Islay Pictures photoblog, it's at Port Ghille Greamhair, Isle of Islay. Enjoy the rest of weekend!